Spritely seven year-old I Am Invincible gelding Voodoo Lad was always going to be ridden cold from an outside gate in the $1million Group I WATC Winterbottom Stakes at Ascot on Saturday and flew home from the clouds for hometown hero Damien Oliver to score a crowd pleasing victory. A multiple Group III winner and second in the Group I VRC Newmarket Handicap and MRC Sir Rupert Clark Stakes, the Darren Weir trained Voodoo Lad was overdue for a win at the elite level and delivered at last in style. Sporting the Segenhoe Stud colours, Voodoo Lad was electric over the concluding stages and powered clear to win the 1200 metre sprint by three-quarters of a length giving Segenhoe their first Group I success. “I always thought this horse would be well suited in this race and he was too strong,” said Damien Oliver. Purchased for just $36,000 by Segenhoe Thoroughbreds from the Yarraman Park draft at the Inglis Scone Yearling Sale, Voodoo Lad has the overall record of 13 wins and 11 placings from 33 starts with prizemoney of $1.9 million. “He really deserved that,” said Darren Weir. “He’s missed a lot of other races by small margins, so he thoroughly deserved it, a massive thrill. Bred by the late Noel Leckie, Voodoo Lad is the last foal and third winner for placed Gilded Time (USA) mare O’Fortuna, who died in 2012 and whose dam is a sister to champion sprinter Schillaci. Voodoo Lad is the seventh Group I winner Yarraman Park’s I Am Invincible, who is fully booked this spring at a fee of $192,500 and is the most represented sire at the 2019 Magic Millions with 61 entries. 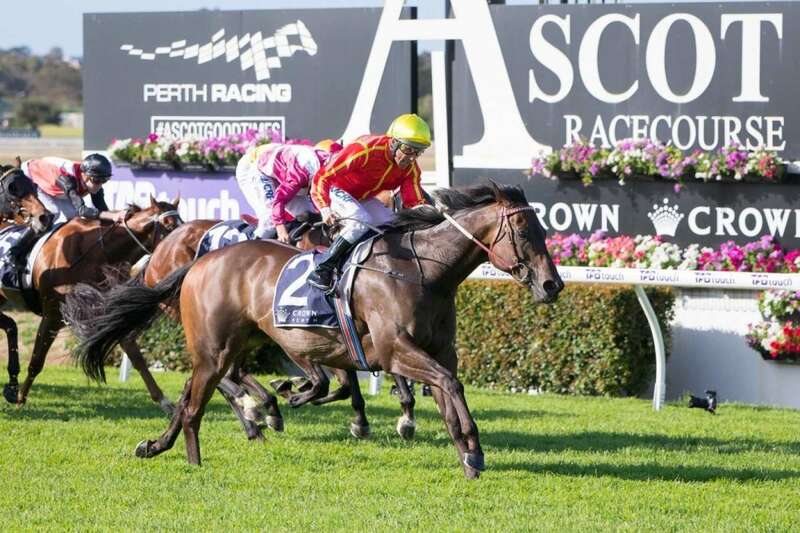 Voodoo Lad was not his only stakes-winner on Saturday with the speedy Gai Waterhouse and Adrian Bott trained mare Invincible Star finding her best form at Rosehill to win the Listed ATC Starlight Stakes. She led all the way to score a short head win in the 1100 metre dash taking her overall record to three wins from 11 starts with prizemoney in excess of $525,000. A $200,000 Magic Millions purchase for her trainers from the Yarraman Park draft, Invincible Star runs for a big syndicate of owners including David and Shiralee Lilley in whose colours she runs. Bred by Yarraman Park, Invincible Star is the fourth winner from four foals to race from Romany Flyer, a half-sister by former Yarraman Park stalwart Catbird to Group III winner Viking Hero. The family also includes Group I winners Innocent King, Unworldly and Invest, so Invincible Star is a valuable filly now with her impressive Black Type resume. Invincible Star is the 16th stakes-winner this season for I Am Invincible, who is the leading Australian sire by winners and stakes-winners.